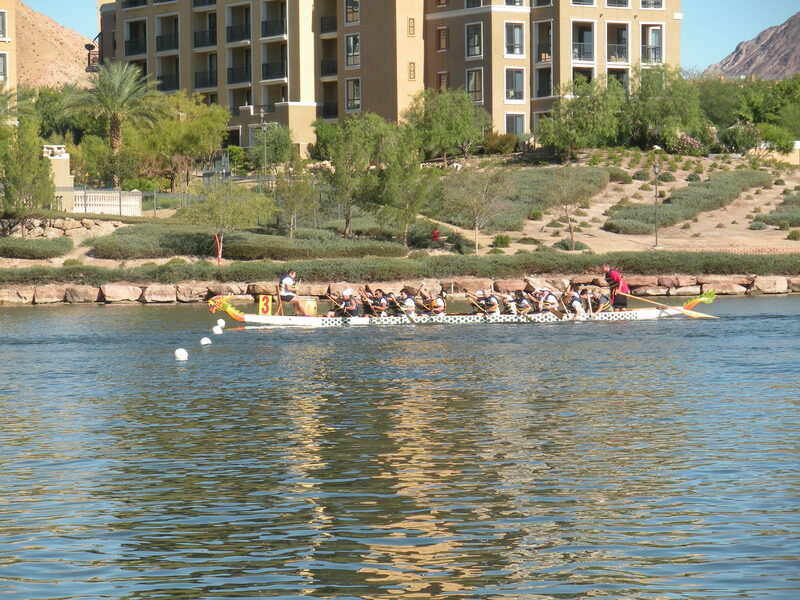 Yesterday was the 3rd Annual Rose Regatta Dragon Boat Festival at Lake Las Vegas, and my second year competing as a member of Team Huff n Puff. 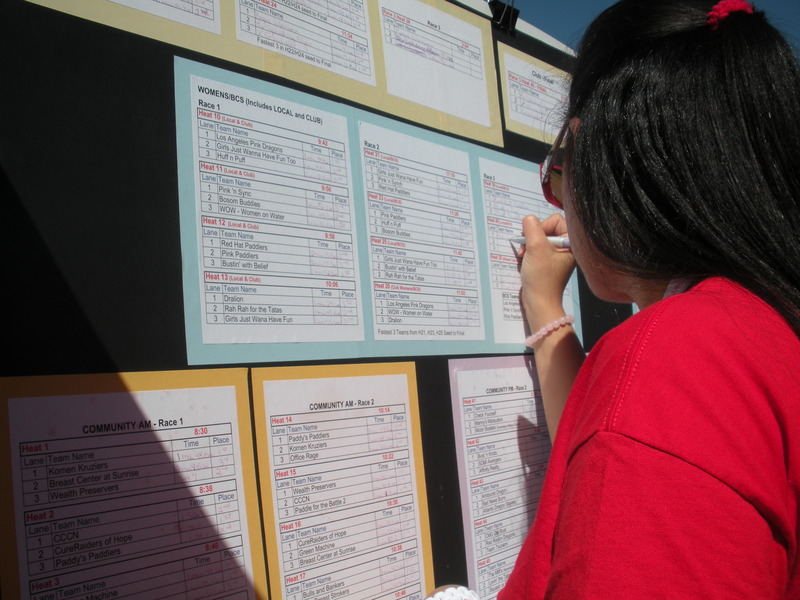 The Rose Regatta is a fundraiser for St. Rose Dominican Hospital’s R.E.D. Rose Program, which provides diagnosis and treatment for uninsured men and women facing breast cancer. With October being breast cancer awareness month, and so much focus on diagnosis, treatment and research, I feel it’s also important to share ways to can reduce your risk of breast cancer. 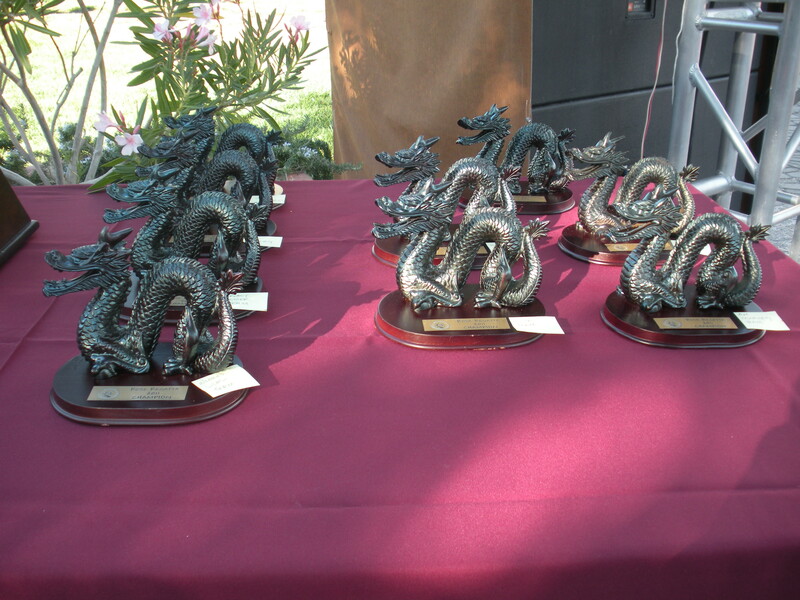 Dragon boat racing originated in ancient China. Dragon boats are 40-50 foot- long racing canoes decorated with elaborate Chinese designs. A dragon boat is propelled through the water by a crew of 20 paddlers, plus a drummer and a steerperson. At the Rose Regatta, we race a distance of 250 meters. Last year we took home silver medals in the local women’s division, but this year we weren’t so lucky. We placed 7th out of 9 teams in our division. If you’re not racing, or if you’re looking to kill time in between races, there are other activities to keep you entertained and other ways to support the R.E.D. Rose Program. 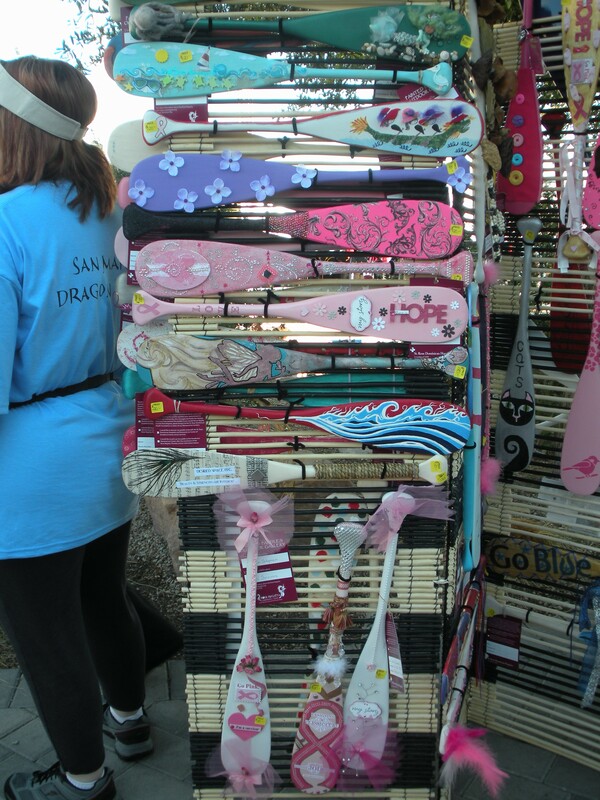 One of the more interesting things is the painted paddles gallery, which showcases mini paddles painted by local artists and available for sale. 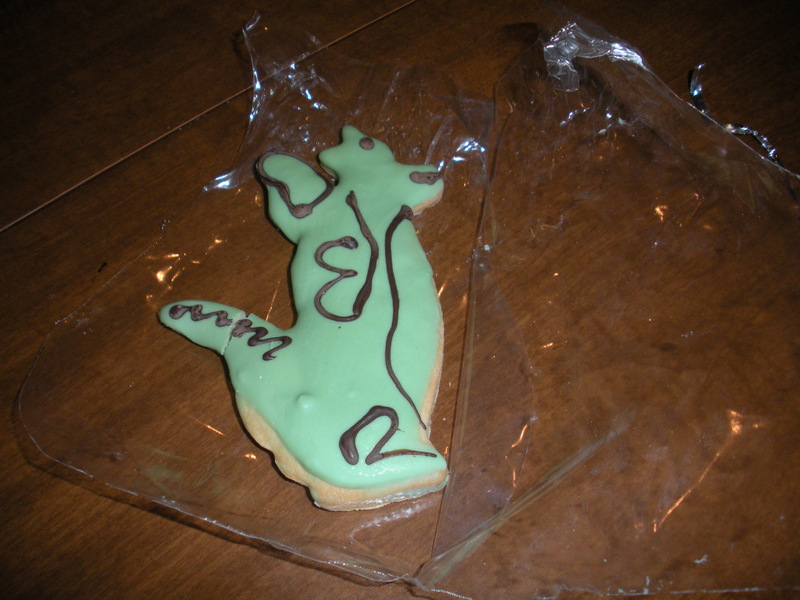 They also have souvenirs and raffle tickets for sale, and these tasty dragon cookies. The one downside of the event is that Lake Las Vegas does not allow coolers, meaning you can’t bring your own lunch to this all day event. I imagine this is to encourage participants to eat at the local restaurants, however, the restaurants did not appear to be able to handle the demand with only a few staff people working and hour-long waits to eat. 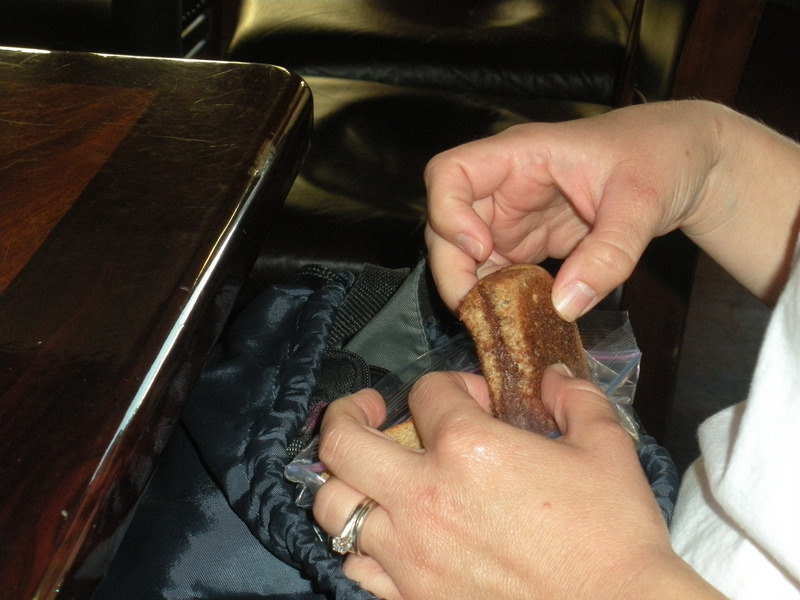 This is not good if you only have a short time in between races, but fortunately I snuck a sandwich from home in my backpack and was able to discreetely eat it under the table while my family waited for their order to be taken at Sonrisa Grill. Overall, St. Rose Hospitals put on a great event, an event I’m going to miss when we move next year. Hopefully they’ll have dragon boat racing on the Potomac. 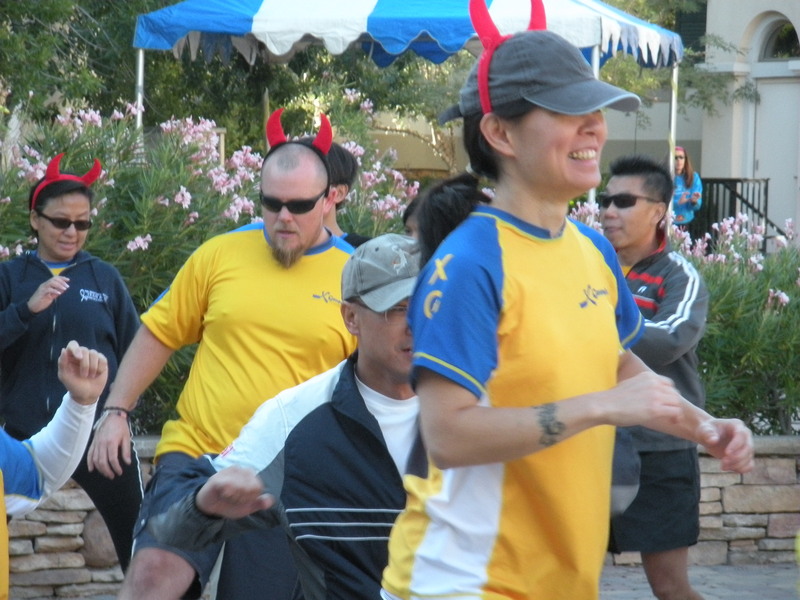 This entry was posted in Becky's Adventures, Healthy Living, Las Vegas and tagged breast cancer, breast cancer prevention, dragon boat racing, fundraising events, Lake Las Vegas, Las Vegas. Bookmark the permalink. I was there as a vendor, and I had a wonderful time. It is an amazing event. And I thank God for the people that come out to support this wonderful cause for Breast Cancer. This event gets bigger and bigger every year, so if you want to join in get your entry’s in early.